Looking To Rent Your Home as a Short-Term Rental? As the march into winter gets underway, a lot of people are already starting to plan their spring and summer vacations. Oh, they’ll go somewhere sunny, or to a fantastic resort or maybe, if you’re lucky, your house. They might as well, you’re going to be going on that fantastic cruise after all. Besides, you’ve heard such good things about being an AirBnB host. Your guests will end up paying for most of your trip, it’s totally win-win. Using your personal home, in whole or in part, as a short-term rental can certainly help pay the bills, but the truth is that short-term rentals also have huge issues you have to consider. It’s not as easy as listing on AirBnB and hoping for the best. You’ll need to do considerable legwork before getting started, otherwise you may find yourself in a lot of trouble and with expensive problems that eat all your profit. Does your mortgage allow you to rent the property without penalty? Many loan programs that help people buy with a low downpayments have restrictions on renting the building. If the short-term rental you’re offering was purchased with you as an owner-occupant, there is likely language in your agreement that spells out what constitutes a breach by turning your house into an “investment property.” Generally, if you rent your property for more than 14 days in a year, you risk having to face the music. 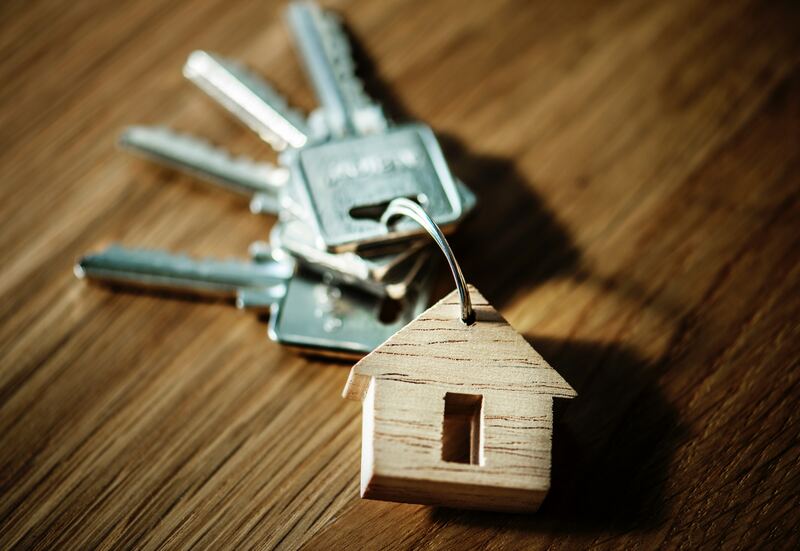 Despite what many websites may say about a lack of punishment for using your home as a rental when it goes against your mortgage agreement, breaching this agreement is serious business. Your mortgage likely has an acceleration clause that explains under what conditions your loan will essentially be revoked, with the entire balance due immediately. If you can’t cough up those hundreds of thousands of dollars, your bank will foreclose. Find this paperwork, then scour it (and have a friend or three take a look, too) before you move any further. You should have gotten a copy at closing, check the packet the closing company sent you home with. Do you have the right Insurance coverage? Even if your mortgage lender is ok with your using your place as a vacation rental, you’re still going to need the blessing of your insurance company. Although places like AirBnB claim to offer insurance, the word on the street is that it’s very hard to convince to pay out on claims. Don’t risk it, talk to your agent about the best way to cover your home and property. You may want to add a comprehensive insurance policy that will cover pretty much anything, including slips and falls, or your agent may advise you simply increase your current coverage. What do your neighbors think? The number of articles that have been written about neighbors pushed beyond the brink by AirBnB and other short-term rental guests is staggering. Even if your homeowners association and zoning allows for short-term rentals (check with your HOA and planning and zoning), if your neighbors are becoming perturbed because your guests are real jerks, you may have bigger problems on your hands. Check your zoning, then talk to your neighbors about your goals with the short-term rental, including the timeframe in which you intend to have guests and for how long they’re likely to stay. Starting a conversation with your neighbors about your vacation rental plans before things turn into a dumpster fire can make having an AirBnB-listed property less of a dramatic situation. It’s also important to check with your municipality about how long a guest can stay before they become a bonafide renter. In many areas, a “guest” automatically turns into a renter if they occupy the property for 30 consecutive days. You’re then assumed to have a month-to-month rental agreement, which means that you will have to actually evict them if they refuse to go quietly. Can you refinance your property? This is a tricky question, especially with rates on the rise. Still, you may need to refinance at some point, even if it’s not today. The bad news is that many lenders won’t count the AirBnB income you’ve generated when calculating your debt to income ratios. Luckily, there are a few banks that are capable of dealing with AirBnB income properties. Even if your lender is open to a refinance, you may be forced into a commercial loan because you rent your property out too often, effectively making it an investment property in the eyes of the bank. If you purchased using a loan eligible for a streamline refinance, you may not have to explain the AirBnB stuff at all. Do you really want a rental? There are so many people out there that believe owning investment property is key to a better retirement, increased wealth and easy peasy income. Owning rentals, especially short-term rentals, is a lot of hard work. From stocking consumables like soap and toilet paper to keeping things in good repair, doing background checks on applicants and keeping your taxes straight, it’s not a low-stress investment. This is why so many property owners rely on property managers to handle the day-to-day stuff. At the end of the day, even if your PM is doing everything right, you’ll have a decent work load of your own. If you’re not all in on owning a rental, don’t do it. Getting all your AirBnB ducks in a row should also include finding home pros to help in case there’s an emergency. Don’t stress, you can assemble your whole team, from a commercial insurance agent to plumbers and property management, in just a few clicks. Log into your HomeKeepr community to find the very best, most recommended experts in your area. They’ll help you ensure that your short-term vacation rental experience goes smoothly.